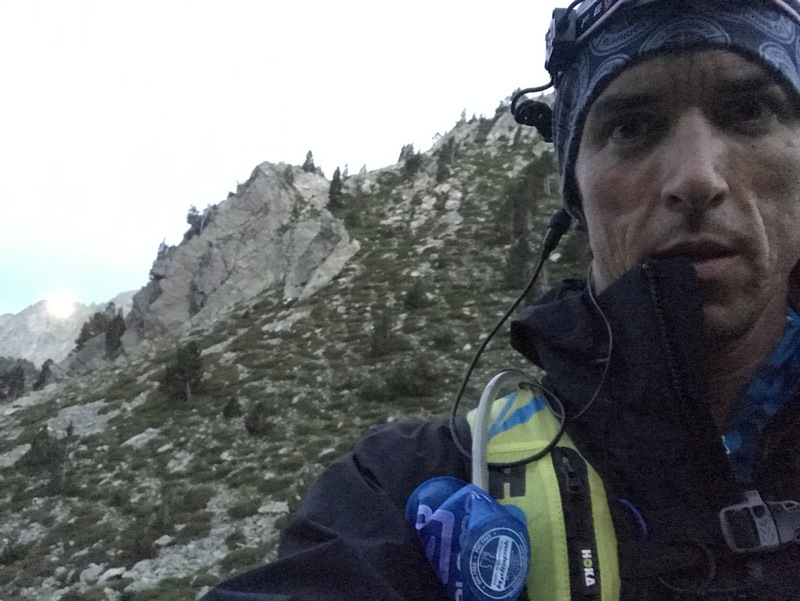 Ultimate Bear Fight: UTMB 2016 part 2, the UTMBening | run, eat, sleep, run. Speaking of heat – how good was the first river crossing before the climb to the refuges? Still in the full sun and heat of the day, most runners had stopped to fill up water but some of us also lay in cold melt waters to cool off. This was a vital 3 or 4 minutes well spent. Cooling the head and torso was like taking an engine out of the red zone just before the gaskets crack or the radiator explodes. Being able to lie in cool running water 4 or 5 inches deep, I could actually feel my deeper tissues regain some kind of normality. I did check my feet, which I probably could have done without – the check, not the feet I mean Footwear – gold. The new Mafate Speed 2 (HOKA ONE ONE of course) was everything I’d hoped and more. I’d spent 24 hours trying to locate any size 14 within any kind of deliverable distance of Chamonix when a wear test pair miraculously appeared via the French crew at the UTMB expo. Huge thank you to Anthoine for helping these happen. They were performing like superlight, highly technical, maximally cushioned next generation adaptations of the original great idea of HOKA’s Mafate with a little bit of space technology for faster feel. With a wider fit, more pliable midsole, and really deep sticky Vibram outsole, these were my dream shoe. But my socks were another story. My favourite ultralong distance socks had developed a hole at the big toe 2 hours before race start. Timing much? So instead of my usual 2-layer favourites, I’d switched to similarly cocoony single layer pair with a higher synthetic blend. If you’re not a sock connoisseur, what that means is a greater propensity to bunch because of greater motility. Dual layer socks aim to reduce friction and associated hotspots and blistering mechanically by essentially having one layer sit motionless against the foot, the other against the inside of the shoe, and any friction avoided between the layers. The single layer socks I’d gone with as my Plan B pair were putting tissue damage where it was going to be noticeable later. Having not grabbed any alternates, there was very little to do beside some retaping. This is another handy use for poles – they become your tape storage tools for when such situations arise. This is also an especially spectacular section of the course, shared with Tor Des Géants. Knowing that we were in for endless switchbacks as we zigzagged toward proper high country I kept my focus pretty local. The halfway point was another short hit of vomiting which barely broke my trudging stride. Every runner was mimicking the pattern of those around them now, just with timings out of sync – trudge, pause, get passed, cough, maybe heave, move again slowly, overtake someone else who had paused, repeat. As we finally drew into sight of the survival pod – large yellow sealable chambers delivered by helicopter and manned by mountain guides – at Col Feret, it was clear that the clouds which had been building throughout the evening were more than just cosmetic. Just minutes after we passed through the highest part of the route, the strobe of lightning and rumble of epic thunder filtered out across the heavy skies above us. It was still hot though, so there was excitement and relief as the first big fat water droplets hit. Thanks Jean-Charles! Sorry for busting up your Saturday night 🙂 Here also is Ludo, a new friend from this latest visit. So I phoned a friend, and we had a lovely conversation about what a donkeypunch La Fouly is and what it should look like and where it should be. Let’s face it – what Frenchman doesn’t appreciate a random navigation focused call from their Australian whiskey-drinking partner at 10pm on a Saturday? Champex Lac was my self-declared favourite checkpoint, simply because they had a seriously chunky tomato pasta that felt like winning. The woodchip floor covering of the entire tent also added a certain something. Stephanie arrived about 5 minutes after me and immediately set to making sure I had everything that I needed. She even rocked my world with her baked potatoes – these were gold. I asked if she might have any kind of access to a Garmin charger as I hadn’t done anything to charge my batteries at Courmayeur and even though the whole thing was a bit of an afterthought, the altimeter as a way of knowing how close the next location was had become a real sanity management tool. So I was totally blown away when she took off her own GPS watch and handed it to me without a second thought.